The way this glowing tech works is by allowing the bag to absorb sun light for about an hour and then take it into a dark room and BOOM, the glowing commences! I have yet to see it in person but if it really does glow a bright as shown in the picture, the Marion style is definitely a bag which is on my wish list. 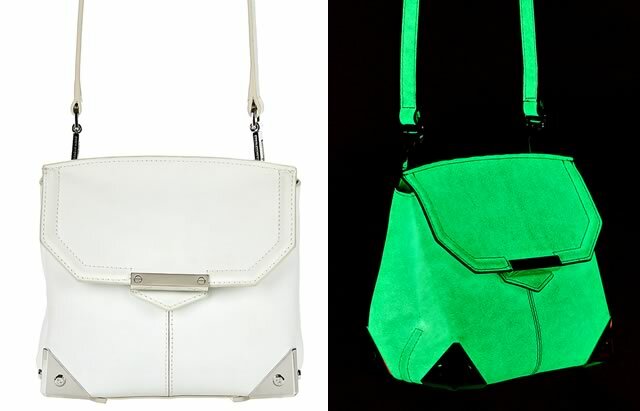 Buy the Glow in the Dark Marion now via Alexander Wang. Great blog!I'm your follower now, if you like follow me too! Love this bag! How cool is the fact that it's glowing in the dark? Thank you for sweet comment on my blog,I am following you via Bloglovin,hope that you can do the same. I start to follow you back, thank you for your comment! Il signore borse louis vuitton borse oggi sono realizzati con alta qualità e materiali durevoli che dovrebbero assicurare all'utente di uso permanente, per non parlare dei traumi di tutti i giorni che un molto occupato stile di vita scelto può portare. La maggior parte di questi louis vuitton borse provengono da cuoio dell'unità di elaborazione che fa loro del bene. E 'davvero importante che un sacco affidabile è sempre lì per accompagnare questi professionisti impegnati femminili.